You find yourself in a familiar place to photograph. The challenge is to see this place in a different way so the images you create are not identical to those you shot before.How do you accomplish that task? Based on the following quote, from author Toba Beta "No perspective, no perception. / New perspective, new perception." I gave myself an assignment. Simply defined, 'perspective' means 'point of view.' Because of my short stature, I have always had a different point of view than those of average height, but I wanted to stretch my literal point of view even further as I roamed in and around the sand-filled buildings of Kolmanskop. By focusing on the details and lighting in each room and building, I positioned myself at different visual angles to capture images which would hopefully offer viewers a new perspective and perception of this amazing place. When I began editing this batch of photos, I prepared them as a color collection to post on the web-site to share. Then I decided to continue the creative process by stretching my interpretive point of view. 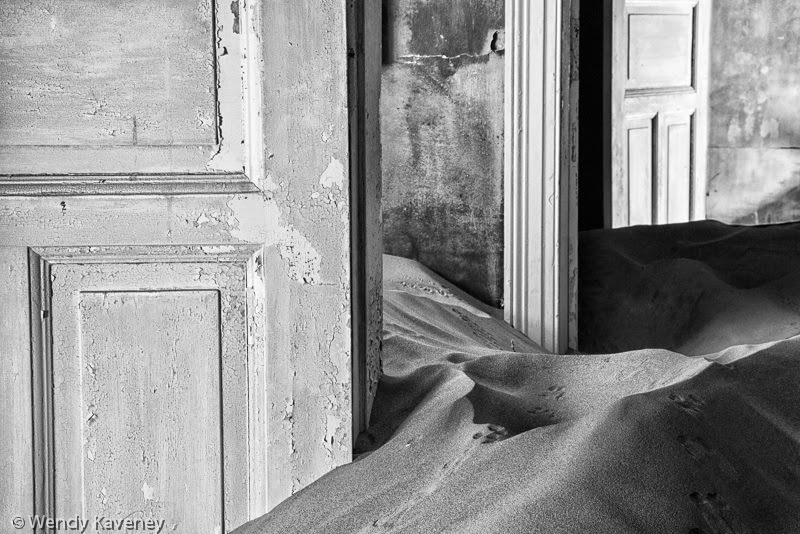 After I created the gallery of color images, (which can be seen here: 2014 Kolmanskop- Color )- I selected the shots which I felt met my criteria of "perspective, detail, and different" and rendered them in black and white to further represent the essence and the haunting mystery of this abandoned place. As I look at each gallery, I am torn as to which collection I prefer. While I like many of the images in my black and white rendition of Kolmanskop, I think I favor the gallery of color images as a collection. This surprised me because it seems strange to me that an old spot, reeking of nostalgia, looks better in color! Maybe it's because of the combination of the colors and textures. 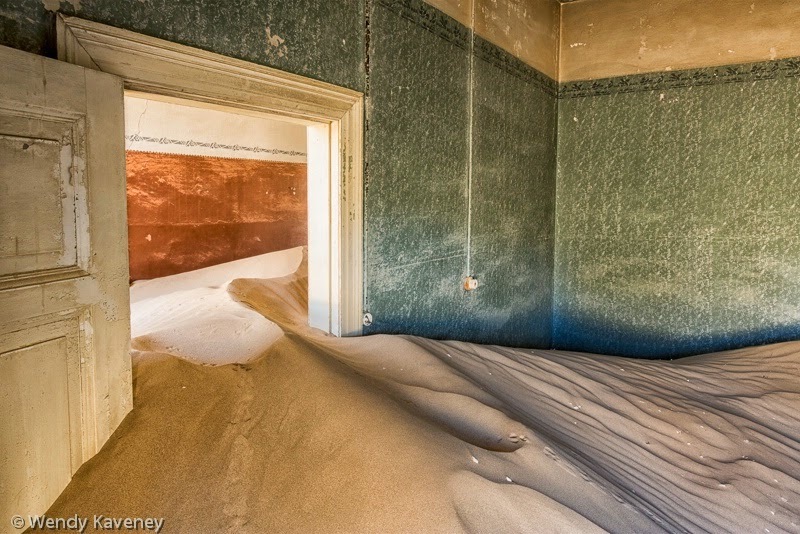 If you like these galleries of Kolmanskop, be sure to check out my gallery of classic images of Kolmanskop from previous visits. When traveling to Namibia, one cannot miss visiting Etosha National Park for excellent wildlife game viewing experiences. The park was officially made a game reserve in 1907 and is one of Southern Africa's finest and most important Game Reserves.There are 150 species of mammals in the park, including the endangered black rhino. 'Etosha' means "Great White Place" in reference to the huge salt pan located (mostly) within the park's boundaries. The salt pan is so big, it is actually visible from space! 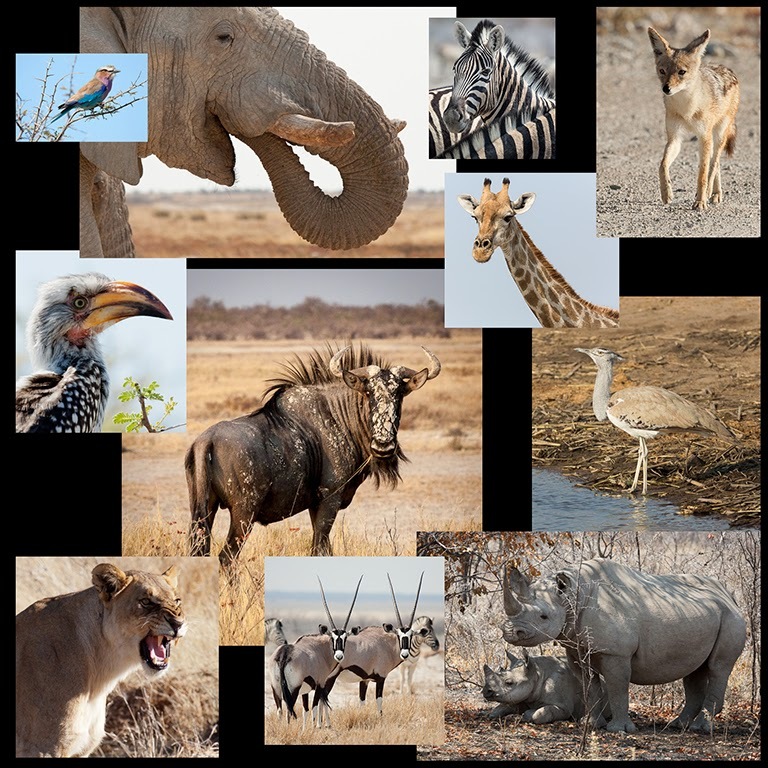 There are several lodges located in Etosha National Park. We will be spending 2 nights at Okaukuejo Rest Camp situated near the western edge of the Etosha Pan. 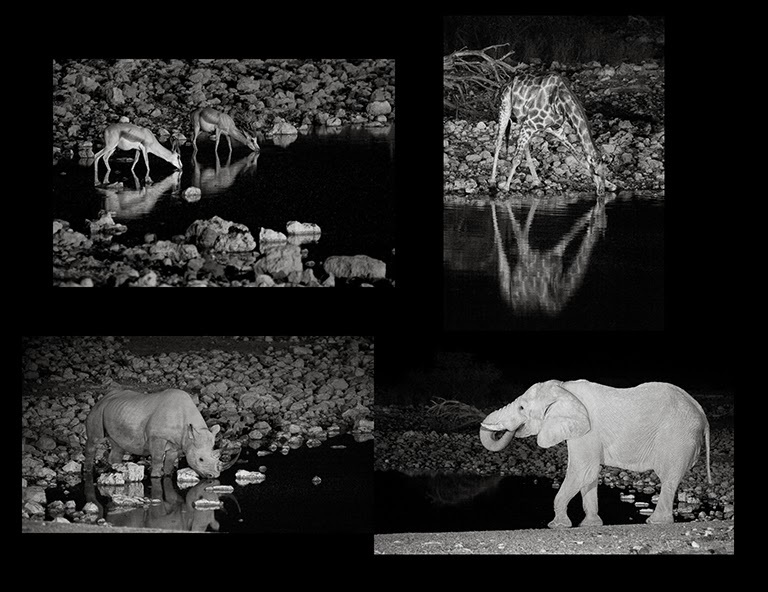 After sunset, the waterhole is illuminated by floodlights in order to allow wildlife observation at night. One can stay out all night long watching and enjoying the animals, if so inclined. Rhinos, elephants, giraffes, and lions are some of the species who frequent here, and it is considered by many to be the best place in Africa to see the endangered black rhino. 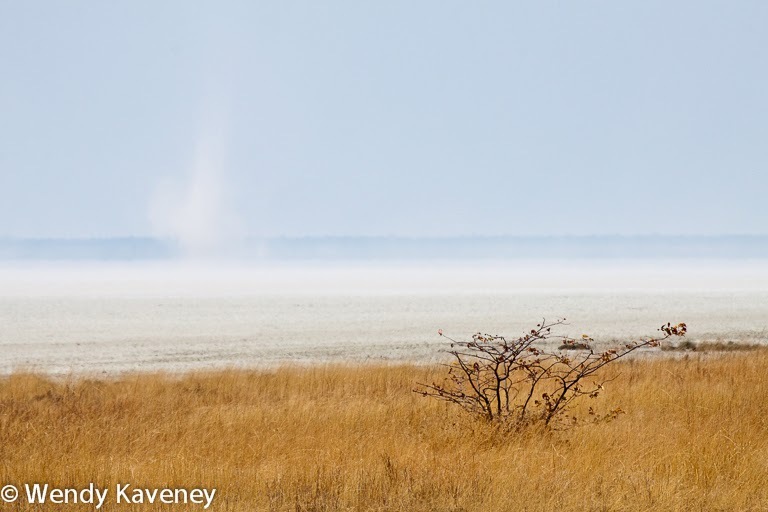 You can see a collection of my most recent images from Etosha National Park HERE. 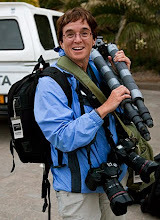 I hope you will consider joining Brenda and me on our photo tour to Namibia in August 2014. We have a varied itinerary of many different and exciting photo opportunities. For information and details about our Strabo Namibia Photo Tour, please click HERE.